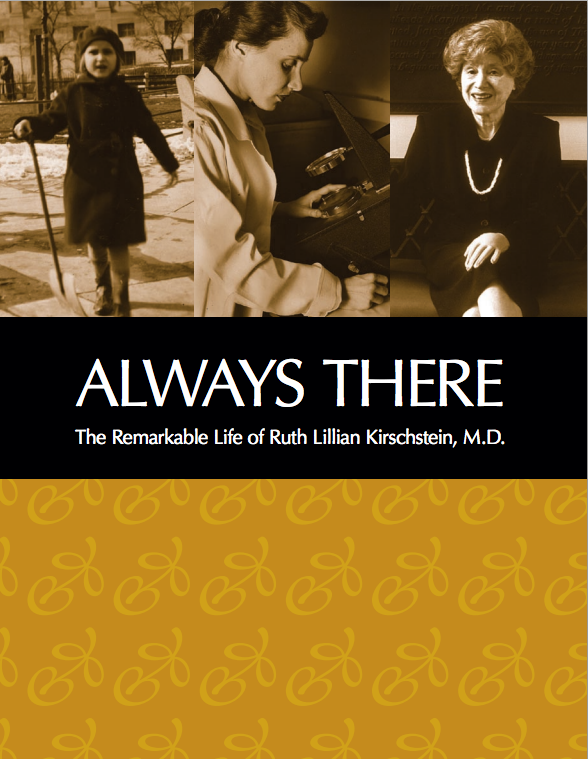 FREE e-book: The Remarkable Life of Ruth Lillian Kirschstein, M.D. The NIH SciEd Blog recently mentioned a FREE ebook that details the life of Ruth Kirschstein, M.D. This book describes the story of a pioneering female scientist who navigated the stereotypes and prejudices of being a Jewish woman in the US. Ruth became a contributor to the polio vaccine, the first woman to be an NIH director, and a champion of biomedical research. This is a wonderful story to share with students young and old. Click HERE to download the book as a pdf, (MOBI) Kindle, or (EPUB) Nook/iPad.